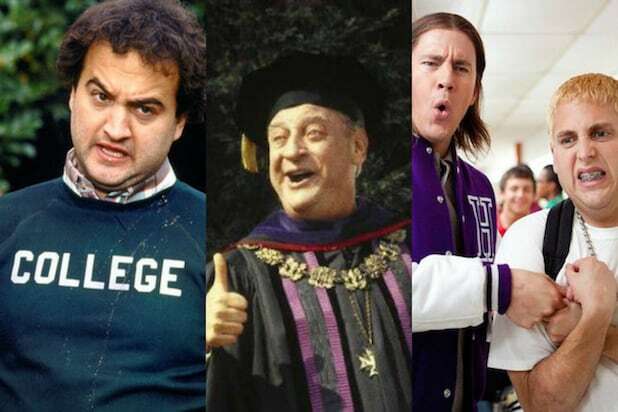 "Animal House" (1978) Look, a film with a toga party, countless pranks and an entire frat house on Double Secret Probation does not sound like the best influence for anyone hoping to head off to college and succeed, but "Animal House" actually has a lot of wisdom to impart. The ultimate snobs vs. slobs comedy teaches you to find where you belong. In those opening scenes where Flounder and Pinto first step into the Delta house, they get drinks spilled on them, the house is a mess and I think someone just barged in on a motorcycle, but you know instantly, this is the place to be. 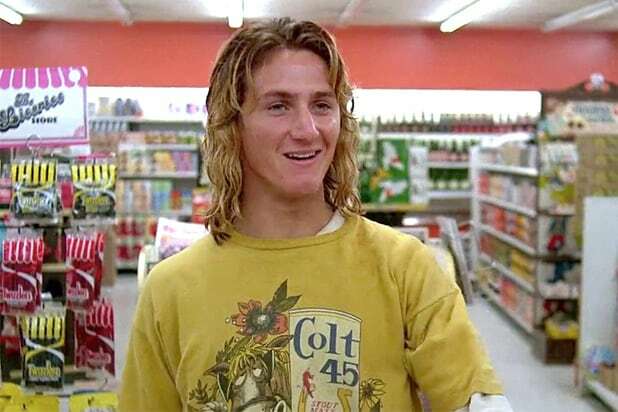 "Fast Times at Ridgemont High" (1982) One of the most quintessential teen movies, Amy Heckerling's "Fast Times at Ridgemont High," set the bar for raunchy teen comedies with heart and depth, as well as many of the high school character tropes we've come to know. "Back to School" (1986) Hey, look who's getting some class ... in class! You're alright. "Back to School" is no "Caddyshack," but it's Rodney Dangerfield doing what he does best, throwing zingers, double entendres and wads of cash at you a mile a minute. Comedians could learn a thing or two from him. "Matilda" (1996) Based on Roald Dahl's novel, the charming "Matilda" as directed by Danny DeVito still has a winning attitude about going to school and shining despite monstrous parents and principals who would rather see you fail. This children's classic has whimsy and wisdom for days. "Harry Potter and the Sorcerer's Stone" (2001) I'm guessing your school doesn't have a sorting hat, quidditch or transfiguration classes, but the first Harry Potter film is a childlike wonder that highlights Hogwarts at its best. It teaches kids about the jitters of discovering not just a new place or strange new people but tapping into what makes you special. "Legally Blonde" (2001) "What, like it's hard?" The charm of "Legally Blonde" is Reese Witherspoon's spirited confidence, goodness and optimism that going to law school shouldn't be a drag but a challenge to welcome and embrace. "Mean Girls" (2004) "Mean Girls" opens with Lindsay Lohan's Cady looking up at her nurturing parents. They ask if she has money for her lunch and if she remembers her phone number. The joke is, she's a teenager only going to public school for the first time. It's funny because going back to school is a hard experience no matter what age you are. "Friday Night Lights" (2004) While people adore the TV show, Peter Berg's film milks the high intensity and drama from starting a new football season and being the new coach in town. From the beginning of the school year, you feel the pressure on each of these kids to succeed on the gridiron and claim their future, which is exactly what going back to school is all about. "The Perks of Being a Wallflower" (2012) Stephen Chbosky's filmed adaptation of his own novel is one of those sweet, underrated gems with a great sense of nostalgia and a modern sensibility. Some of the film's best moments feature Charlie (Logan Lerman) in his first few days of school, like realizing his old friend from junior high has suddenly grown distant, his first party and late night drive with new friends, or working up the courage to find his feet on the dance floor at Homecoming. "21 Jump Street" (2012) No one would've guessed that a comedy remake of a campy '80s show about cops going undercover in a high school could work. But the zany, screwball chemistry of Jonah Hill and Channing Tatum going back to school and trying to fit into cliques taught us all a lesson. "Everybody Wants Some!!" (2016) While Richard Linklater's "Dazed and Confused" is set on the last day of school, his spiritual sequel "Everybody Wants Some!!" is set in the few days before classes begin. In 1980, a Texas college baseball team lives together in a house ahead of the start of the fall season. It's a film about masculinity, fading glory days and discovering a new identity at a new chapter in your life.